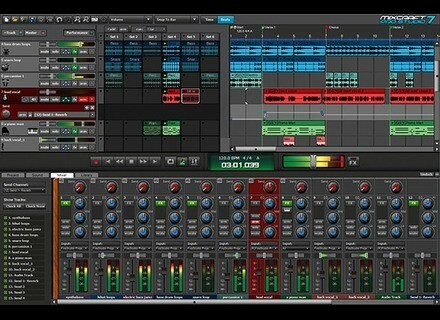 Mixcraft Pro Studio 7, General Sequencer from Acoustica. Product replaced by the Acoustica Mixcraft 8 Pro Studio. Acoustica's Mixcraft series now includes advanced Windows 10 support, adds new content, more controller support and feature enhancements. Acoustica has announce the release of Mixcraft 7.5 and Mixcraft Pro Studio 7.5, which they describe as a major update to their award-winning Mixcraft recording software. This version 7.5 update is free for all Mixcraft 7 registered users (yes, I repeat: .5 VERSION IS FREE TO REGISTERED USERS OF .0... Oops, did I wake you up Mr. S.?...). Anyway, Mixcraft 7.5 enhancements includes full support of the new Windows 10 advanced audio capabilities, FLAC file support (including recording directly to FLAC), improved mixing performance, MIDI bug fixes, and a new Hungarian translation. Mixcraft 7.5 has also added new MIDI controller support for devices by Akai, Arturia, Behringer, Keith McMillen Instruments, DJTechTools, Numark, Novation and others. Mixcraft 7.5 is now optimized to work with the new Windows 10 operating system. Mixcraft 7.5's audio mixing threads are now given the absolute highest priority on Windows 10, so other system functions won't interrupt the music. Plus, when Mixcraft 7.5 is used with new low-latency Windows 10 audio drivers, it is now possible to achieve audio latency as low as 5 ms while still allowing other applications to share your audio device. Mixcraft 7.5 also includes two new loop kits - one dedicated to Theremin (featuring Armen Ra) and the other to dub reggae. 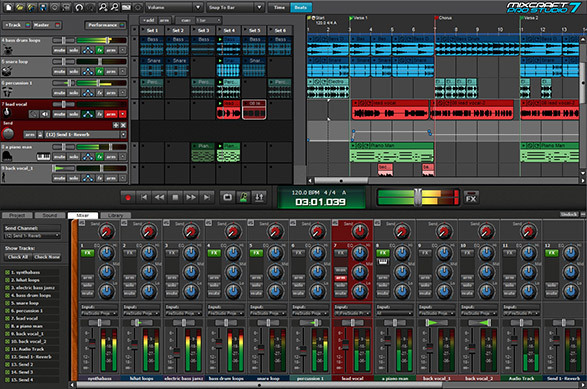 While the update is free for registered users, newcomers can still discover Mixcraft through either the normal version (prices $89.95) or the pro one ($164.95) which features over $1100 worth of additional contents. More details to be found at Acoustica's website. [FREEWARE] Black Rooster Audio - The Canary Black Rooster Audio offers The Canary, a free drums-oriented exciter for Windows and Mac OS X.